Coast through a corner, and roll onto the throttle: the whine of the straight-cut gears gives way to a syncopated baritone that has few equals. Many cars are compared to growling or bellowing animals, but the DBR1’s inline six truly sounds like a very large lion clearing its throat—one of the most primal-sounding motors to ever reciprocate in anger. The DBR1 was not only named after Aston Martin owner David Brown, it also fulfilled his decade-long ambition to win the 24 Hours of Le Mans in 1959 at the hands of none other than Carroll Shelby and his co-driver Ray Salvadori. The DBR1 also carried Stirling Moss to two of his four victories at the 1000km Nürburgring, run on the notoriously difficult Nordschleife ring. It did so not with raw power, although the 3-liter motor made 254 horsepower, but a combination of lightweight construction, slippery aerodynamics, and superior driving dynamics. Some of that lightness was due to the extensive use of magnesium alloy in the body, just 0.03 inches thick and quite fragile. Ultimately, the DBR1’s career ended with the win at Le Mans, as Brown had satisfied his ambition to win the championship and turned the company’s focus to single-seater racing. 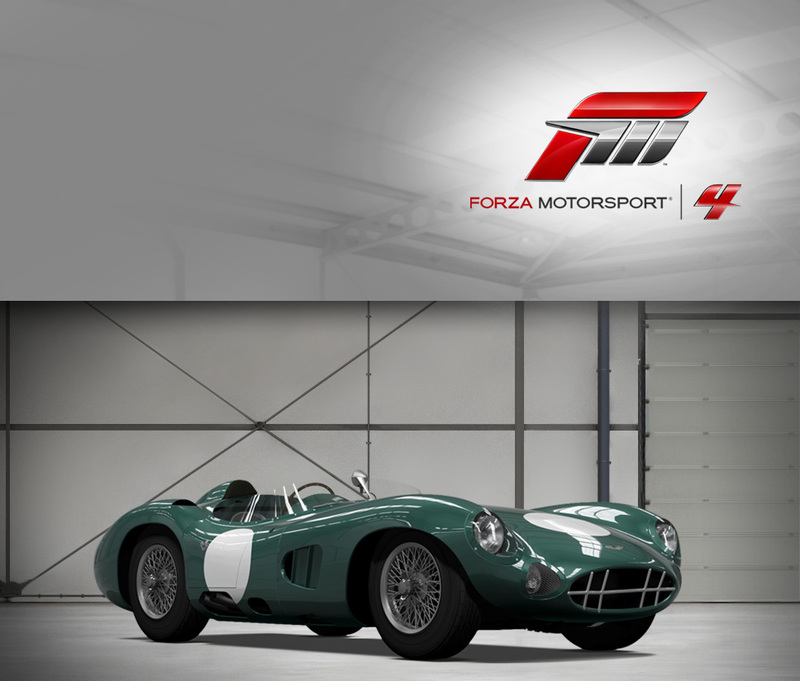 As such, the DBR1 gives drivers the unique experience of driving a beautiful car at the height of its development and success. 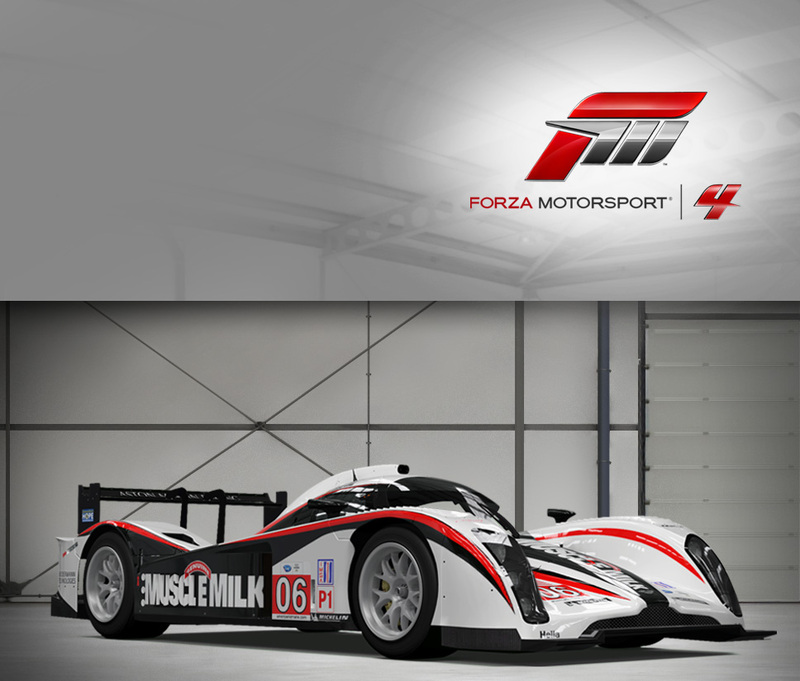 The Muscle Milk team has long been a force to be reckoned with in ALMS racing, and the 2011 season brings many changes to the team. The biggest is a new partnership with Lola-Aston Martin, providing the team with a closed cockpit car packing a 6-liter V12—a big change from the lower-powered open car of previous years. This is due to IMSA rules that allow 2010 LMP1 cars to run in the ALMS, bringing a whole new level of excitement to the series. While the Lola-Aston Martin changeover brings challenges as the drivers get used to the incredible capabilities of the higher-output closed car, it is already brining success. 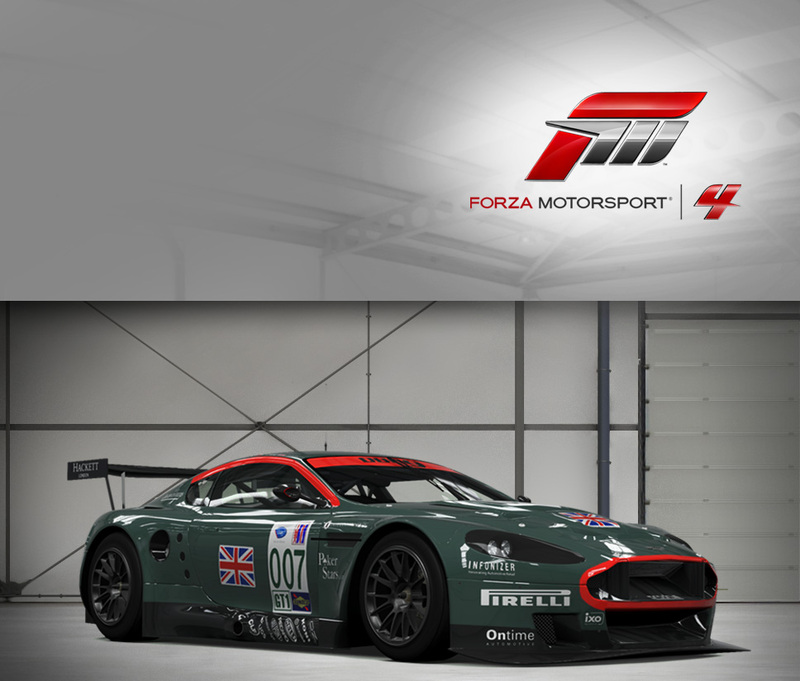 Of course, the rivalry in ALMS LMP1 racing is fierce, but rest assured that the new car and talented crew carried over from the previous season should ensure that the Muscle Milk Aston Martin Racing team is going to be fun to watch. If Britain can be said to never have truly entered the muscle car fray, then the Aston Martin V8s that prowled the UK starting in the late 1960s are surely the next best thing. Unabashedly aggressive in appearance, and equally savage in sheer grunt, the V8 Vantage also offers something that no American muscle car of the time could ever equal: authentic European luxury and exclusivity. For in addition to its performance credentials, spending time in a V8 Vantage is to coddle yourself in soft leather while admiring the real wood paneling. Yet the power on tap is the real story: the none-too-subtle hood bulge barely conceals the 5.3-liter V8, whose hot cams and revised carburetion allowed for an unprecedented 170 mph top speed, at which point the standard rear decklid spoiler becomes important. The Vantage’s soundtrack of burbles and bellows means that at any speed the mighty V8 stirs something primal in a driver’s soul that must be felt to be properly understood. How else can the Vantage be described except as an icon of British iron? The DB5 is fast, beautiful, luxurious, and famous due to its cinematic associations with a certain famous (and fictional) MI6 agent. While it was slightly modified for duty in Goldfinger (“An ejector seat? 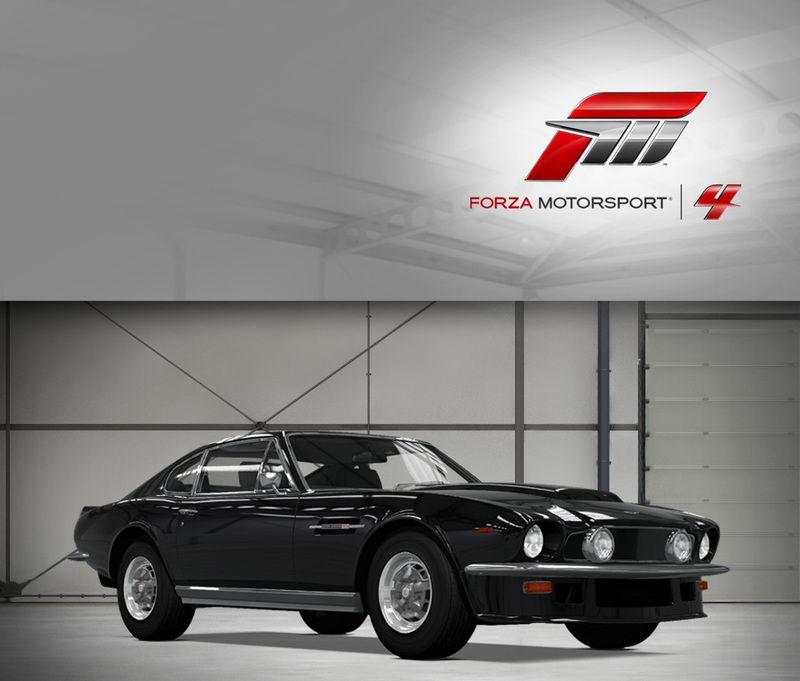 You’re joking.” “I never joke about my work, 007.”), off-screen the Vantage is also a modified version of the standard DB5, although sporting triple Weber sidedraft carburetors instead of defensive countermeasures. The Vantage specification is good for 325 horsepower out of the Tadek Marek-designed inline six, and paired to Touring’s Superleggera body (“super-light,” constructed out of aluminum panels covering tiny diameter alloy tubes) it can perform as sweetly as it looks. While you probably can’t fit smokescreen generators to the Aston in the Upgrade Shop, you can always drop in a modern V12 out of the DBR9 Le Mans racer if you have enough coin. 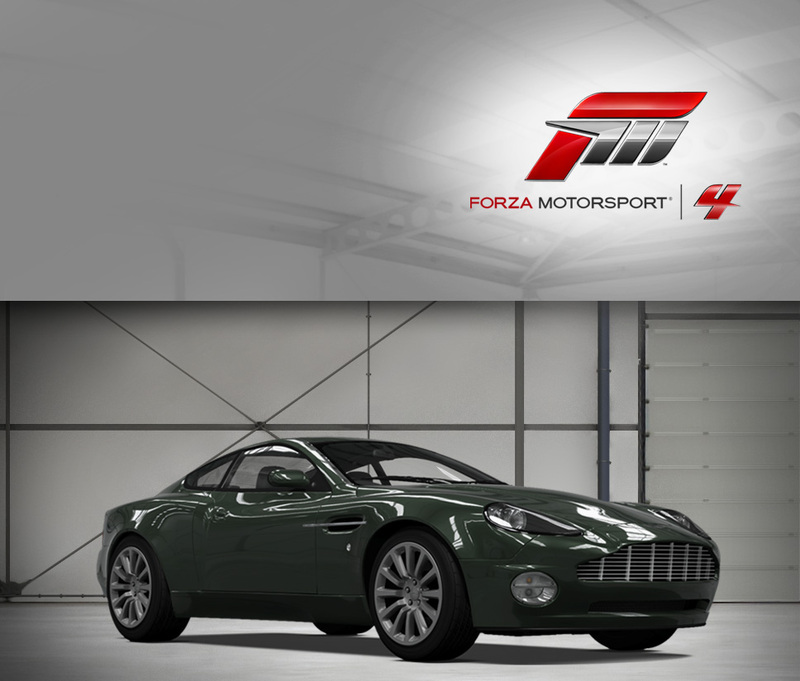 Aston Martin’s great leap forward was spearheaded by the V12 Vanquish. Out were the old, fussy V8s, and in came Ian Callum, who penned a riot of convex metal so lascivious that minors nearby should need parental supervision. The Vanquish was Callum’s first clean-sheet styling coup for Aston Martin after working over the DB7 from a preexisting design. 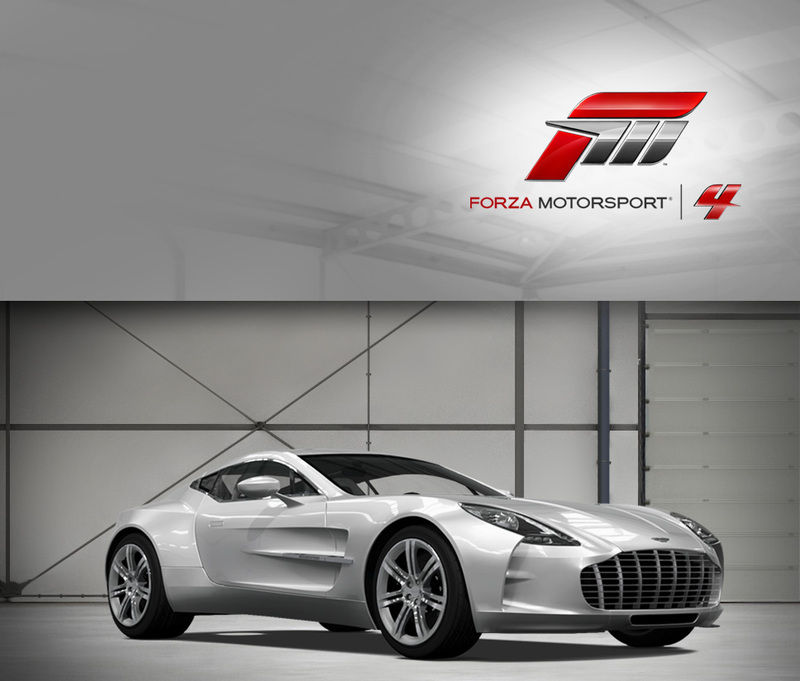 It not only represented a new styling direction for the company, it also introduced the V12 engine that defines Aston Martin in the 21st century. In the Vanquish, the V12 is good for 460 horsepower and an almost equal amount of torque, giving the motor great tractability and pushing around the extruded-and-bonded aluminum chassis with great urgency. Factor in the compliant yet sporting suspension and the result is a superlative grand touring car able to handle roads as curvy as its body, as any fast sweeper on the new Bernese Alps track will quickly demonstrate. Don’t forget to line up the Vanquish against the stunning Alpine backdrop in Photo Mode to show off the Callum design in a beautifully complimentary setting. It’s a rare car that can walk the tightrope between a classic grand touring experience and state-of-the-art engineering, but the DB9 does just that. It exudes an air of hand-crafted Britishness from every aluminum panel, wood insert, and leather-trimmed surface--and yet under the skin lives a thoroughly modern assembly of extruded aluminum bonded with a high-tech adhesive, a cutting-edge ZF transaxle out back, and a 21st century V12 under the bonnet (as they say in the island nation that spawned the car). The DB9 manages to turn these modern accoutrements into a classic GT driving experience, although the performance numbers would make any actual classic Aston blush, as 60 mph comes in a blistering 4.7 seconds. It doesn’t hurt that the lines of the car, penned by the legendary designers Ian Callum and Henrik Fisker, are stunningly gorgeous from any angle. The pretty DB9 maintains all of the grace and poise of the headiest Astons of old, with contemporary performance and unparalleled luxury—not a bad combination, all told. With the combination of the stout DBR9’s V12 engine and Lola’s decades of experience with advanced chassis design, the Aston Martin Lola is without doubt a very fast proposition. A strong steel spaceframe is wrapped in a full carbon fiber monocoque, for a stiff but lightweight chassis. The engine, modified in some ways from the road car, but retaining the basic block and heads, conspires with the lithe chassis to provide a power-to-weight ratio in excess of 750 horsepower per ton. Advanced aerodynamics mean it’s not difficult to get the LMP1 car to exceed 200 mph. This car, #007, proved the worth of the partnership between Aston Martin and Lola by taking the overall win in the 2009 Le Mans Series. There are few riskier propositions than producing a four-door sportscar, because sedan proportions and coupe proportions are so different. Where others have failed, the Rapide not only succeeds, it’s a drop-dead gorgeous stunner. It has the moves to match its voluptuous curves because the Rapide builds off of the lightweight and rigid VH architecture of the DB9 coupe, stretching it a foot but keeping all of the good bits: the 6-liter V12, rear ZF transaxle, and most of the DB9’s advanced suspension. Chalk it up to the fact that Aston Martin is run by Dr. Ulrich Bez, who isn’t just a guy in a tailored suit—he’s a real car nut, and the Rapide had to perform to his high standards. It does this and more, as Dr. Bez drove a very lightly modified version of the Rapide in the 24 Hours Nürburgring endurance race, which finished without a hitch. Off the track, the Aston sedan is a pleasing mix of ferocious V12 acceleration and the hand-crafted, luxurious interiors that Aston fans have come to expect. All in all, the Rapide not afraid to flaunt what it’s got. Aston Martin’s newest coupe features a barking V12 that balances a perfect ratio of horsepower to torque to propel the Virage down the open road. 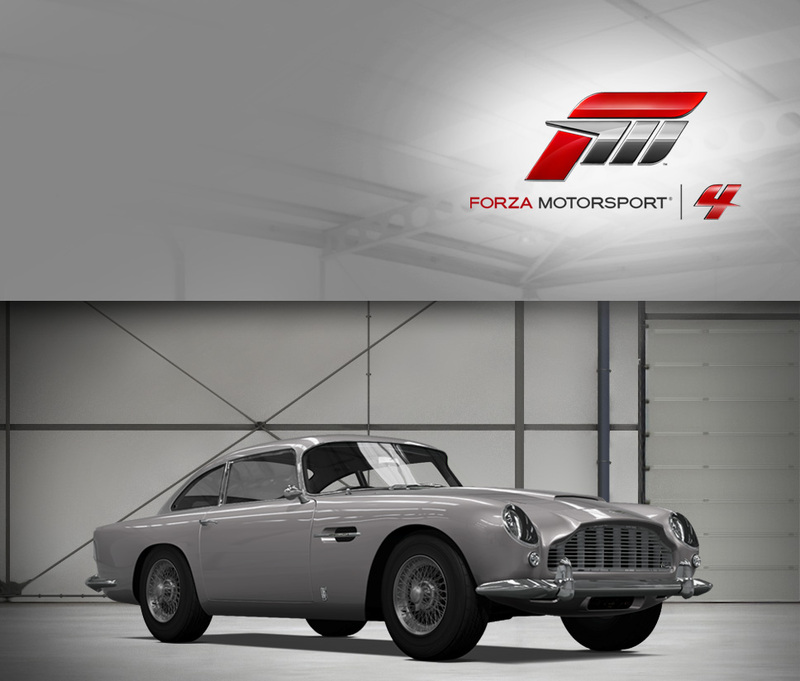 Commemorating the 50th anniversary of the original DB4GT Zagato, Aston Martin--in collaboration with Zagato--created an elegant and vivacious concept car. The V12 Zagato (Villa d’Este) debuted at the prestigious Concorso d’Eleganza Villa D’Este in Italy and won the "Best in Class" award for Concept and Prototypes. The next month, the car went on to compete at Germany’s Nürburgring, including the 24 Hour race where it performed flawlessly. The V12 produces 510 bhp, the brakes are ventilated carbon ceramic and it uses a carbon fiber driveshaft. 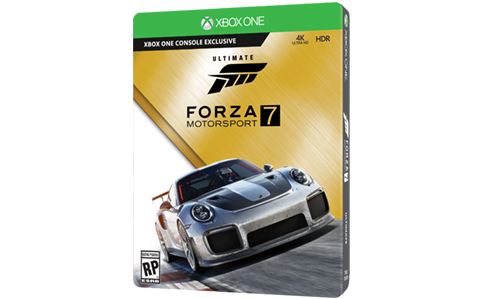 With a top speed north of 185 mph and equipped with a full roll cage and a plastic driver’s-side window this car is ready to race. 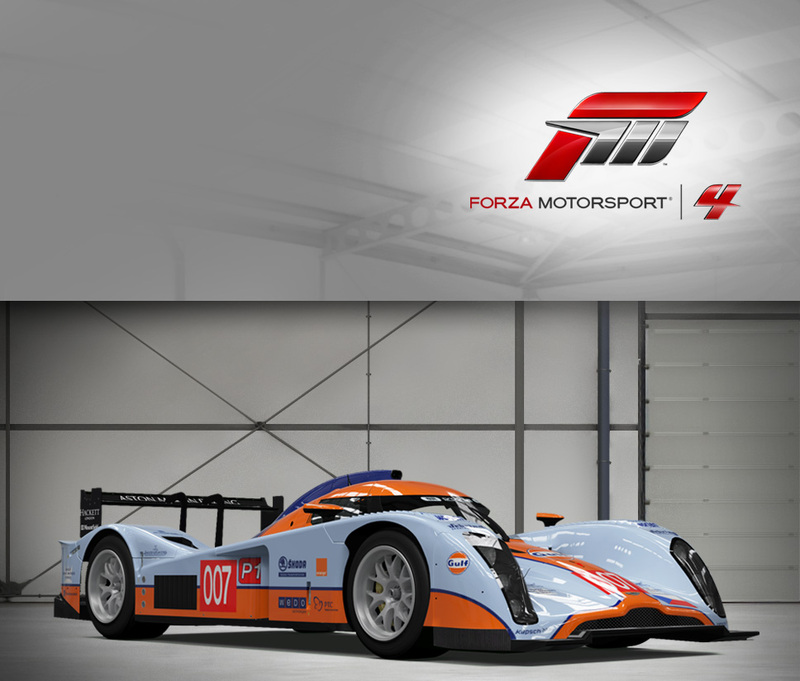 All it needs is a driver and maybe a custom livery to make it your own. Improving the Aston Martin DB7’s already outstanding sales numbers was the challenge set before Aston Martin CEO Dr. Ulrich Bez and designer Andrea Zagato. The pair discussed the problem while sharing judging roles at the 2001 Pebble Beach Concours d’Elegance. The prototype was shown in August 2002, with the first lucky customers seeing cars in the fall of 2003 on this very limited run of only 100. The DB7’s beautiful form features side vents, shoulder lines, a grill, and headlights that are all telltale Aston Martin, plus the signature “double bubble” roof contour found on most Zagato cars. The DB7 is powered by a 5.9-liter V12 normally-aspirated engine running through a six-speed manual transmission. 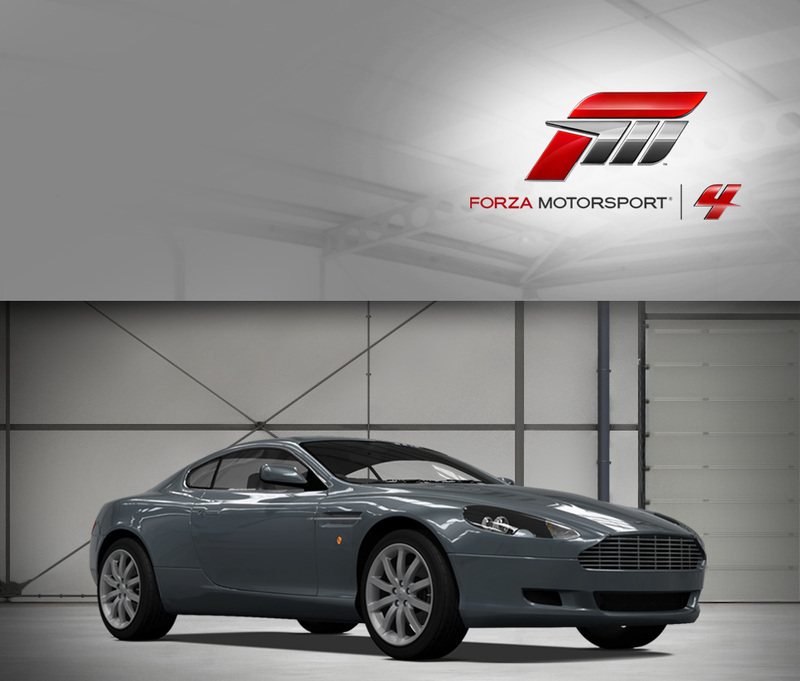 Its outstanding performance is partially due to the 130 pounds shaved by the alloy body hand-built by Zagato, but also aided by the upgraded suspension and brakes. A modern car worthy of the DB in its name… David Brown, the longtime owner of Aston Martin, should be pleased. One of the most prestigious brands in the automotive world has decided to enter the city car market. Aston has done so by taking the successful Toyota iQ and dressing it up to more aptly address their significantly upscale market. The iQ or Cygnet is a front-engine around town ultra-compact that is capable of up to 106 mph. The 97 horsepower four-cylinder delivers optimum mileage and with the Aston accoutrements provides its passengers distinctive creature comforts. While similar to the Smart For Two in shape and size, the Cygnet is a four-seater. It also differs by being front wheel drive. So for those who want the convenience of a city car with its super short wheelbase, incredible turning circle diameter and fuel sipping mileage but still desire luxury to enhance the experience, the Cygnet delivers. Take a luxury sportscar and then squeeze even more horsepower out of an already chest-pounding motor. That’s what Aston Martin did with the super-low production Vantage V600. This comprehensive upgrade package added twin mechanically-driven Eaton superchargers, with optimized intercooling and a fatter exhaust. As a result, engineers at Aston produced 600 hp and 600 ft-lbs of torque from the aluminum-alloy, 5.3-liter V8 powerplant. To cope with all that juice, ventilated and grooved discs with six-piston, AP calipers were fitted; as well as Eibach springs and Koni dampers. Only 56 cars were built with this option package; not surprising, since only a select few can afford the V600’s stunning combination of power and luxury.